Apple is soon to unveil its iPhone 8 series on its 10th anniversary this month, but it may not drive sales as high as expected based on a survey due to consumers’ lack of enthusiasm and shocking price. 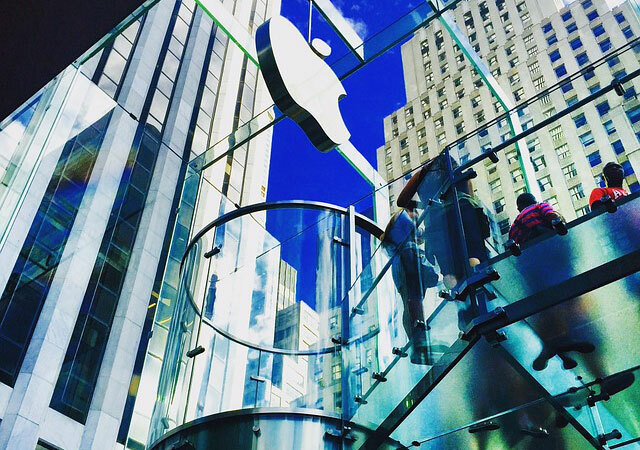 Apple’s (NASDAQ:AAPL) 10th anniversary celebration may prove to be a sour one. It appears that iPhone 8, which will be launched this September 12, is not evoking enough excitement among smartphone users for it to bring in impressive sale numbers. According to Jaffray analyst Michael J. Olson, the level of enthusiasm that consumers have for this year’s iPhone is the same as that of last year’s. The root of the dilemma? Lack of awareness among consumers about the potentials of the iPhone 8’s new and powerful features. Also, the shocking price: ‘only’ $1,200! Leaks have it that the less costly iPhone 7s and iPhone 7s Plus which will also be launched this month as part of Apple’s new tradition of iPhone release, will have a good show on the market. It’s iPhone 8 which may cause Apple sourness after all the hype. Yes, Apple is unveiling 3 smartphones. In 2014, Cupertino started releasing two flagship models instead of one annually. But this year, the company wants to have a bigger celebration by launching three, with iPhone 8 making the biggest buzz. Nevertheless, the buzz has not fully impacted consumers in a way that they have a clearer idea as to the significance of the phone’s new features in their lives. Hence, the lack of excitement. There’s also a rumor going around that iPhone 7s and iPhone 7s Plus will actually be named “iPhone 8” and “iPhone 8 Plus”. Meanwhile, the iPhone 8 that’s being highly-anticipated will be called “iPhone Edition” or some other name. Now, with all these rumors thrown out there, you too may have been confused as to what type of improvements or changes to really expect from this unveiling. To be able to explain it explicitly, let’s refer to these iPhones by which they’re popularly known at the moment. The iPhone 7s and iPhone 7s Plus are actually just updates of 2016’s iPhone 7 and iPhone Plus. Though, this time, they’re designed with big internal upgrades, some hardware improvements, and glass for backs to support wireless charging. As for iPhone 8, it features a new, glass sandwich design coupled with a stainless steel mid-frame. There’s expectation that the edges of iPhone 8’s frame would be polished, so that it would look like one amazing sheet of glass. It will also have a vertical, dual-lens camera instead of the customary horizontal design. Meanwhile, there are no more home button and Touch ID fingerprint sensor on the iPhone 8 to give way for the best possible screen-to-body ratio. Neither a bezel on the side or underneath the display. The iPhone 8 will also feature an OLED display, no longer an LCD screen. Its 3D sensing camera has lightning-fast authentication by means of facial recognition. It also has a new A11 processor which based on tests is truly remarkable. More about specs: iPhone 8 will have a 5.1-inch AMOLED display, a 7-megapixel front-facing camera, a dual 12-megapixel rear cameras, 64GB or 256GB of storage, and 3GB of RAM. As for its wireless charging support, Android smartphones are better due to their utilization of the latest wireless technology. Lastly, iPhone 8 should be coming in silver, black and a darker shade of gold. Well, these are the latest rumors in a nutshell but obviously we all have to wait until iPhone 8 is really out on the market to be able to say if Apple’s latest product is going to be a hit or a flop! Sprint, Palm: Can One Device Save Two Companies?